The properties of the Siegling Extremultus A + E line are used to their fullest advantage on this application. The highly-modular, flexible belt design saves energy and minimizes RPM variations in the section of spindles. 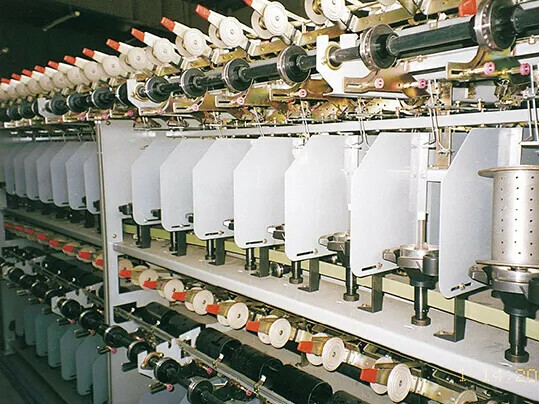 The precise Z-splice ensures that the belt tracks with little oscillation, treating the machinery gently. 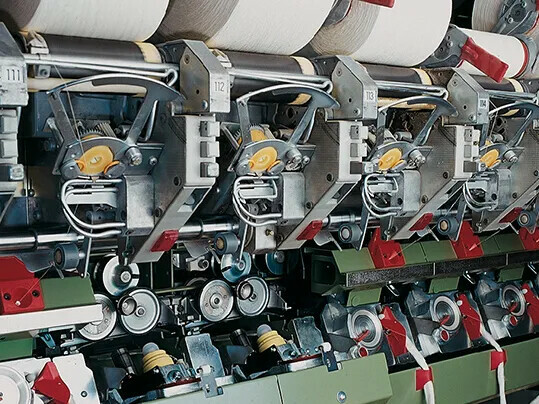 Yarn quality and service lives of the drive components increase, energy and maintenance costs drop. Highly-modular tangential belts of the Siegling Extremultus A + E line are being used increasingly more often, in addition to the reasonably-priced, tried-and-tested Siegling Extremultus P line tangential belts. 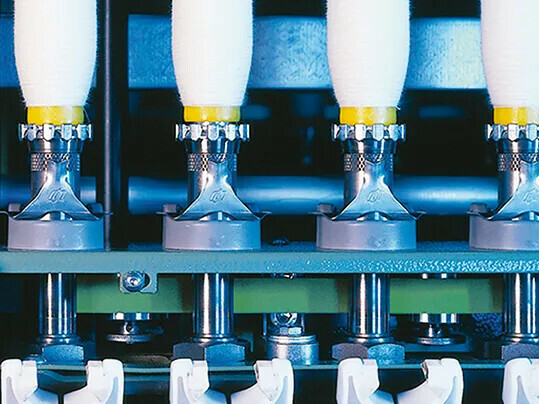 The innovative Siegling Extremultus E line provides the greatest benefits possible for application technology, setting a new cost/benefit standard for operating and maintenance costs. the precise HP ground texture. The development of the rotor belt GG-20P-26-HP BLACK by Forbo Siegling, marked a new milestone in rotor power transmission technology. 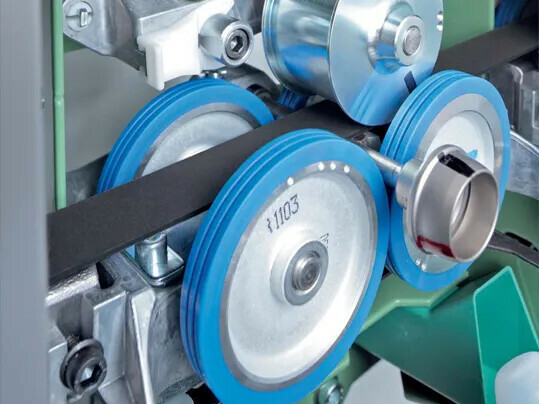 The new, black elastomer coating of the rotor belt does not easily harden, does not vitrify, and will maintain constant friction during the running phase. As a result, consistent, short run-up periods are achieved over the belt’s entire service life. In combination with optional HP precision grinding, the rotor belts operate quietly with little vibration. The reduction in vibration causes less wear to the twin disc bearing and increases the efficiency and lifetime of the belt.